The World Bridge Series is one of the most prestigious tournaments in the calendar of bridge fans for good reason. It brings together the best bridge players of all ages and from around the world. In the Olympic spirit of excellence, respect and fair-play, I wish all participants a memorable and successful World Bridge Series in Orlando. The World Bridge Federation, together with organisers of the World Bridge Series, have found a winning formula for the competition. With attractive formats for Junior and Senior teams, as well as the many Open, Women’s and Mixed team events, the competition at the World Bridge Series is guaranteed to be intense. 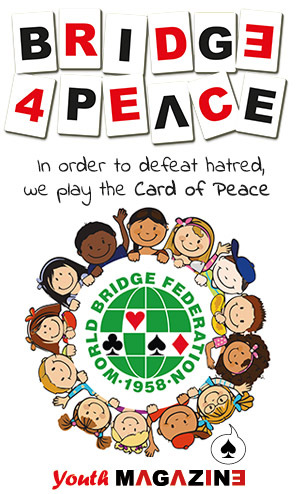 It is another wonderful illustration of how the joy for the mind sport of Bridge can literally build bridges by bringing people together from around the world in friendly competition. I would like to congratulate the World Bridge Federation and the organisers for putting together such an outstanding event. To all participants, I wish you a great competition and wonderful stay in Orlando.